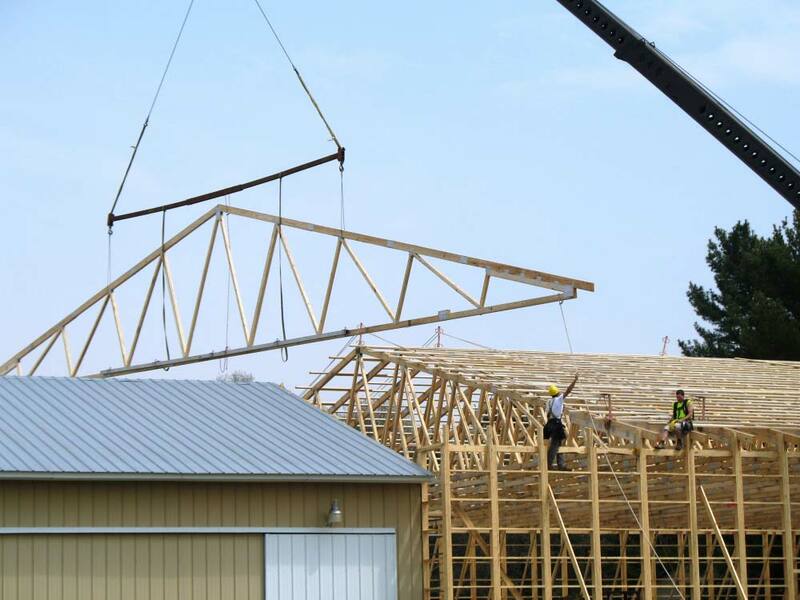 Agricultural Trusses | Select Trusses & Lumber, Inc. Agricultural trusses are used in many large free stall barns, machine sheds and other pole buildings that require a variety of different truss systems that can be built to your exact specifications with clear-spans up to 106 feet! Use our truss calculator to calculate your steel roof length needs! 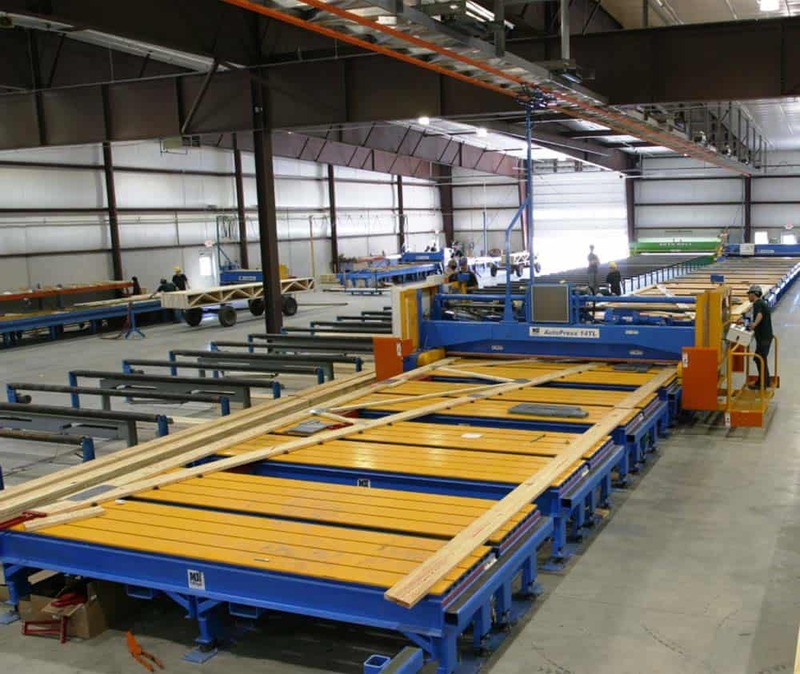 Our Mitek vertical press reduces the “banana” effect of wide chord lumber used in Agricultural trusses, girders and room-in-attics.